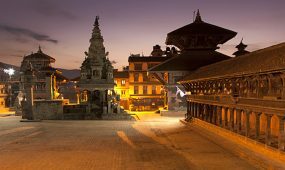 The Education tour in Nepal is a new concept of touring activities introduced in Nepal because of Nepal’s antiquity, history, wildlife, solitary religion, diverse society and culture found nowhere in the world. The Nepal is book of different world found nowhere in planet. The study of Nepal is a study of new world, new civilization, new religion, new society which is found nowhere in the world. Nepal is a country of diverse civilization in compare to other countries of the world. The interested tourists can find various subject matter to study with the help to historical and cultural tours, ecology and wildlife tours, religious pilgrimage and heritage tours, sociological and anthropological tours etc. 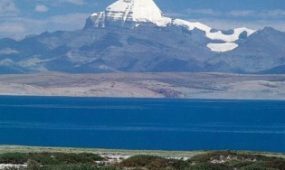 Our company have pre-packaged Education tour in Nepal which are grouped as easy, difficult and strenuous which lets the client to decide their type. We will also prepare customized and trailer ed Education tour on request of clients. Our company is allied with a network of sister companies in all travel destination of Nepal which lets tourists have the same hospitality and service. Ganga Jamuna trek is in Dhading there is less visited and newly opened trek in Nepal. This is a moderate trek in Nepal. In this Ganga Jamuna Trek and trail you will have a chance to see Nepali lifestyle, culture and tradition through this trek. You pass different villages where you can interrelate with the different ethnic groups such as Tamang, Gurung, Brahmin, Chhetri and few others of Nepal. 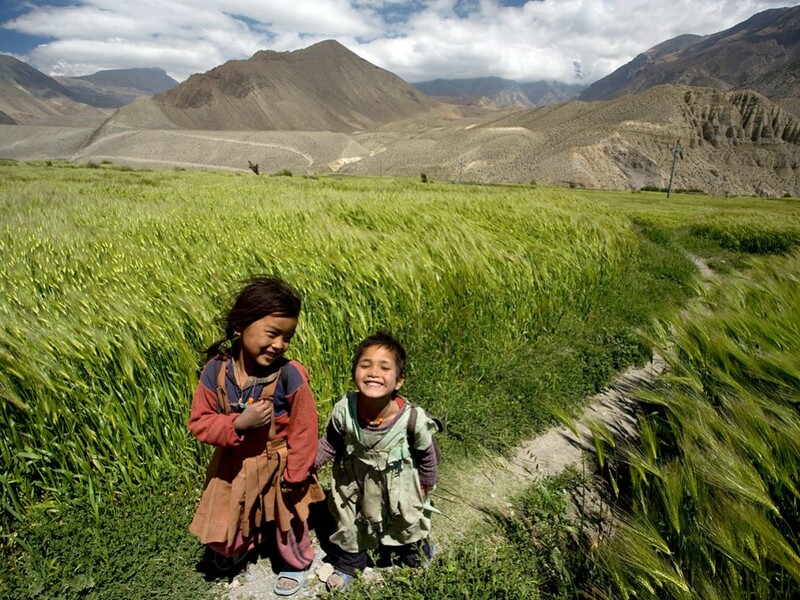 The trail offers you a peek observation of the culture and unaffected tradition of these people. 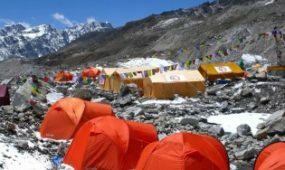 The mountain peaks you can enjoy are Langtang range,Ganesh Himal, Shringi Himal, Manaslu Range, Lamjung Himal, Himalchuli, Annapurna Range and many other unnamed mountains and peaks. While trekking in this region you will find the trail is enriched with beautiful flora and fauna. 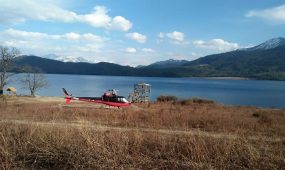 You pass rhododendron, pine forests with other natural vegetation. These forests are home of diverse species of birds and wild animals. Nepal guided info team offers you a visit to Hindu and Buddhist pilgrimage site as well. Hindu devotees offer special prayer and animal sacrifice to the deity. Another attraction of this trek is that you visit Ganga Jamuna which is a twin waterfall. Ganga Jamuna is Hindu pilgrimage site where a famous fair is held around the temple before three days of full moon day during the first week of November. Here is a holy stone which is highly respected by the Hindu devotees and local people. It is believed that this holy stone preserves the divine power as water originates from there. The Annapurna skyline trek and tour is revered for its unique beauty and spiritual significance. Encircled by a colossal ring of Himalayan giants, it is an incredible experience that draws trekkers from all corners of the globe. We journey with the help of our local, expert Nepalese staff. Their years of experience and commitment to excellence make this trip truly exceptional. Our route takes us through remote villages, terraced fields, and forests of bamboo and chestnut trees. Along the way, we are treated to impressive mountain views and glimpses of local villagers. 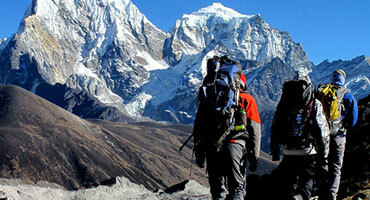 Our destination is the heart of the mountainous amphitheater that holds Annapurna Base Camp. Here, we enjoy 360° views of soaring peaks and a sense of immense exhilaration and solitude. Wake up to catch sunrise over the Annapurna south–a breathtaking view that is not to be missed. Completing this trek is an unforgettable journey that few will ever experience. Gurung Heritage Trekking and tour 2017 and 2018 Nepal guide info team organized Gurung heritage trail and trek provides a first-hand experience of Gurung lifestyle and culture. The trail starts from Khudi to Ghalegaun and Ghanpokhara in Lamjung . The trail then passes through another Gurung village, Bhujung, Pasgaun, Pakhrikot and Nangarhar, finally ending in Pokhara. One can see wonderful views of the Annapurna range on the route. The local communities in these villages perform cultural shows for visitors on request. There is a hill with the remains of a 200 year old Gurung settlement and a beautiful lake that can be reached after a short hike from Nangarhar. Nepal Guide info team organized Chepang Hill Trek (1945 m) is lies on Mahabharat range north from Chitwan National Park. Chepang hill trek offers spectacular views of the mountains and magnificent sunrise and sunset views. 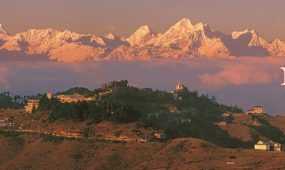 In clear weather you can see the views include a range of Himalayan peaks such as Rolwaling, Dorje Lakpa, Gaurishankar, Langtang, Manaslu Range, Himalchuli, Annapurna range, Dhaulagiri rare view flatland and spectacular sunrise and sunsets can be clearly observed cultural experiences of chepang and other ethnic groups. Nepal Guide info team Organized Lower Manaslu Trekking is recently explored touristic destination in the Lower Manaslu Region of Gorkha District. 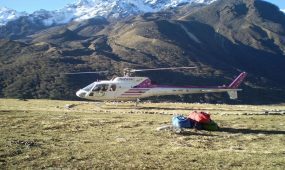 The nine days trek Lower Manaslu starts from Manakamana Temple, a powerful wish fulfilling Goddess worshiped with great devotion by Hindu devotees and concluded at Gorkha Bazaar via There are number of places historically and archaeologically important. This is the place full of grandeur natural gifts and the land marked by plethora of historic, religious, ecological and cultural importance. This is the least tourists visited area but it has more tourism potentialities. Nepal guide info team organized Tamang Heritage Trek is an exciting trek into the Himalayas 2017/2018 that offers travelers a peek into the everyday lives of the Tamang people who are Nepalese mountain dwellers of the Langtang region. The 14-day trip begins in Kathmandu with visits to UNESCO World Heritage Sites. Next, we drive to Syabrubesi and begin trekking into the mountainous region. Throughout our journey we will be rewarded with outstanding views of the Himalayas and get acquainted with the culture and traditions of the Tamangs who live in close vicinity to the mighty Langtang.